Our PADI | SDI Open Water Diver Course is the World famous entry level SCUBA Diving Course. The Open Water Diver Certification is most famous, World Wide Recognized entry level SCUBA Diving Course. This Certification open you the Doors into a new amazing and Faszination enviorment. The PADI | SDI or TDI Nitrox Diver Course is the most popular specialty scuba course. Why? Because scuba diving with enriched air nitrox gives you more no decompression time, especially on repetitive scuba dives. 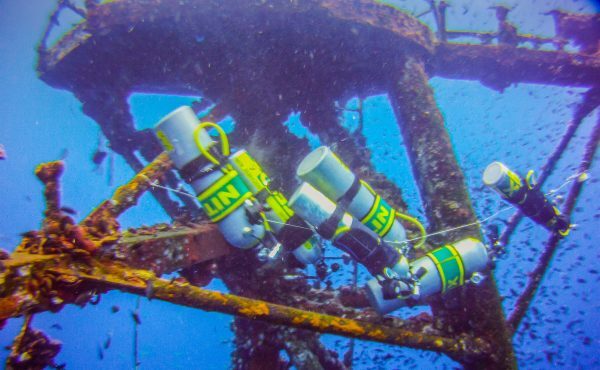 You will learn how to staying down longer and getting back in the water sooner sounds appealing, then The Nitrox Diver Course is your the right choice. It’s time to become an enriched air diver. Most modern scuba equipment and dive computers can be used with enriched air, but our Instructors will let you know if your gear meets manufacturer recommendations and local requirements. However, scuba tanks must meet oxygen service standards and be dedicated for use with enriched air. You’ll practice using oxygen analyzers and special cylinder decals. This Course allow you to dive on Nitrox / Enriched AIR up to 40%. After this Course you are able to join in the Advanced Nitrox Corse. Which trains you the use of 100 % pure Oxygene. The use of 50% – 100% O2 can be a great benefit at shallow Dives or as Deco tool in Technical Diving.